In this article I will be discussing the power of implementing “discovery” within eLearning content. Getting learners to explore and perform meaningful interactions within learning content is a very important mechanism that can ultimately encourage deeper learning and understanding. This is because as a species we are by our nature inquisitive and, for lack of a better word, nosy! When put in new environments, for example when traveling abroad, we want to explore the surroundings and get a flavor of what we haven’t seen before. Ultimately though, what we want is to discover things for ourselves, such as trying to find that spot in the sun on the beach that no other tourist has ever capitalized upon. The sense of reward by taking the venture, or indeed the risk into the unknown, can be very high. If we put 100 people into a completely white room for one minute with no windows or doors, and no other features except for one great big red button on a pedestal, how many people do you think could not resist the urge to press it to see what happened? I think that the number would be quite high! Therefore, I believe discovery needs to take place in eLearning. Considering the Push vs. Pull model in educational theory, the learner must be encouraged to pull learning content out for themselves if we are to avoid the “sit back and doze off” trap which pushing content onto learners with no act of participation, discovery, or reward would bring. 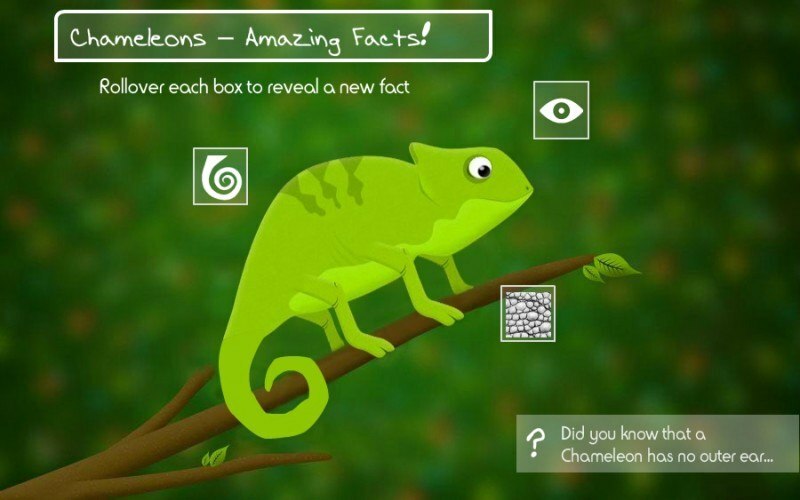 Here is a piece of eLearning that I have produced specifically for this article on an incredible reptile – the chameleon. 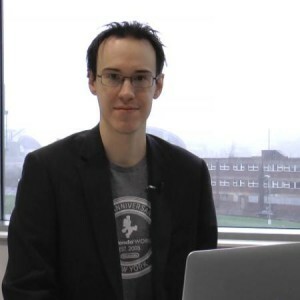 There are a number of engaging eLearning conventions that I have already deployed in order to maximize engagement and overall enjoyment of the content. These include vibrant color, typography, animation, sound and music, and a non-linear exploration style to the content, which requires that the learner seeks out the facts that form the learning activity by rolling over each box. What I am trying to do is evoke certain thoughts of inquisitiveness within the learner. To start, as the learner, I have been given very little instruction on what to do, but no learning information is being pushed onto me. 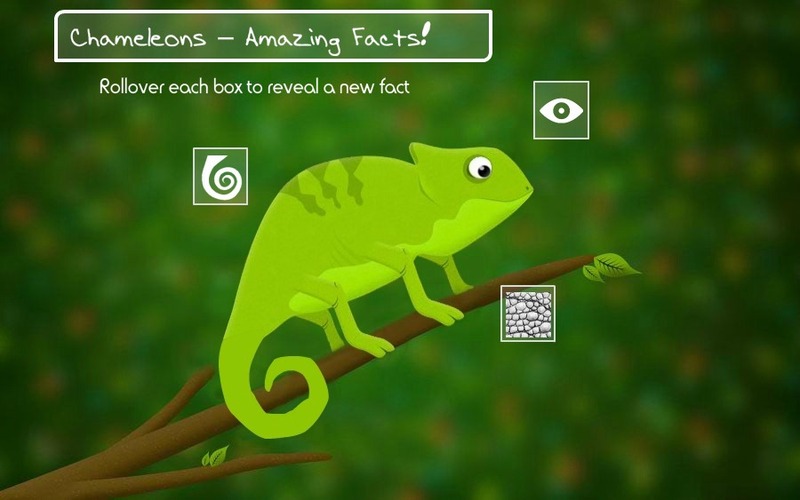 The learner is rewarded with an animation that I have built for each section of the animal, as well as learning the facts one-by-one in a bite sized manner, which by themselves are really cool. However, what I want to do is really play with the learner’s sense of discovery and get them to consider other things that they perhaps didn’t know about the chameleon. To do this I have created a hidden pop-up button which appears once the learner has performed the first action. The text on the button fades in and out, presenting a question to the learner, thus attracting their attention. What is achieved in the mind of the learner by doing this is: “Where did that message come from? Was it there before? Why did it appear just now, and what is it telling me?”. Peripheral vision is a very fun thing to play with in eLearning, so by catching the learner’s attention away from the middle of the slide, it can help to create that act of surprise and intrigue that we are looking for. 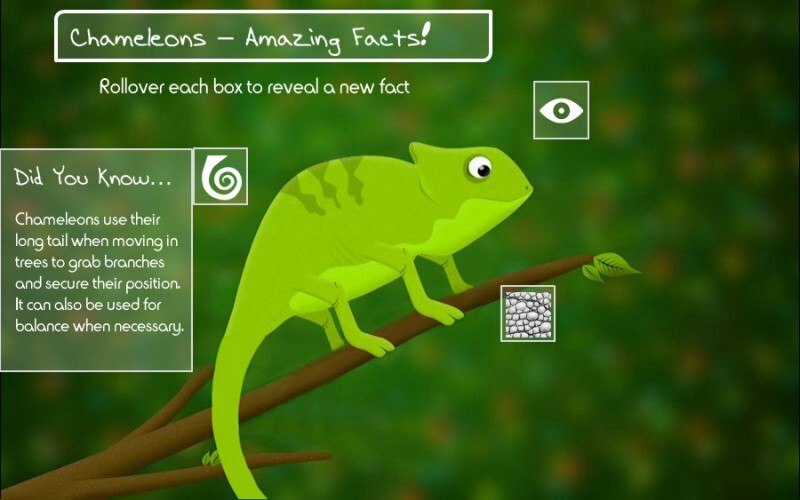 I pose the learner a new question, starting with a fact that the chameleon has no outer ear, and no inner ear drum. “But surely that makes the animal deaf, right?” The learner is encouraged to answer this question themselves, before clicking the button in order to discover the correct answer. By asking learners questions as much as possible within eLearning, we help connect them to the content. The more we make the learner feel personally involved in the content, the more we encourage participation and a stake in the overall outcome of the activity. This type of interaction is very easy to build in modern eLearning authoring tools which you are more than likely already familiar with. In this article I have demonstrated a practical way of implementing “discovery” as a learning mechanism within eLearning, because ultimately the motivation will always be high for any person to perform these actions by themselves in order to satisfy their inquisitive nature. As an anecdote, I remember once watching my partner’s infant nephew pressing icons on an iPad to open up apps on the screen, and how extremely rewarding this was to him. This had nothing to do with the actual app itself, but rather pressing the button and seeing a colorful character appear on the loading screen filled him with happiness, and encouraged him to press even more buttons to see what happened. I think this natural sense of inquiry will never leave him, and learning experiences in adulthood need to fulfill that sense of wonder if they are to engage on a deep, emotional level. No-one can resist the appeal of the Big Red Button! eLearning can act as the tool that is handed to the learner to spark inquiry and encourage further guided exploration in order for that learner to adapt their knowledge to tasks and problems in the future.